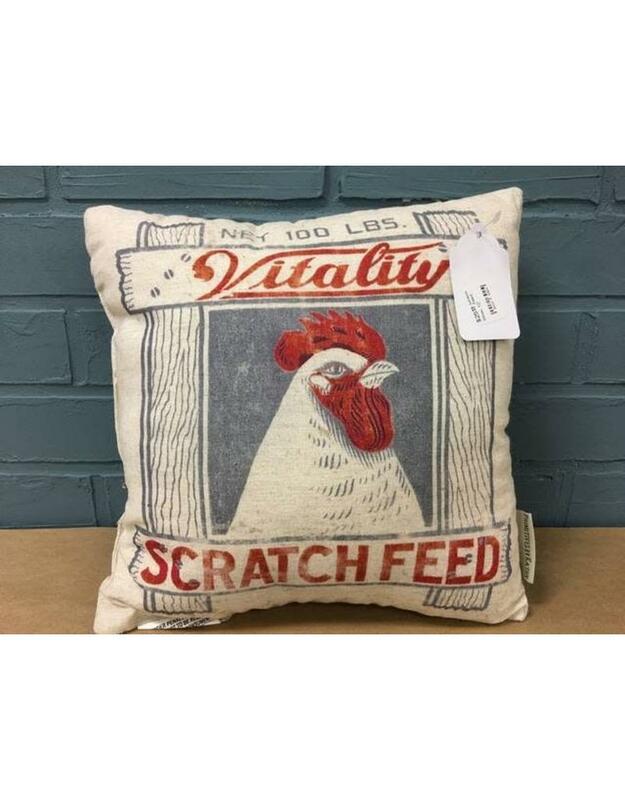 Home / Scratch Feed Pillow, 12"
Brand new throw pillow that perfectly accents country living or modern farmhouse decor. 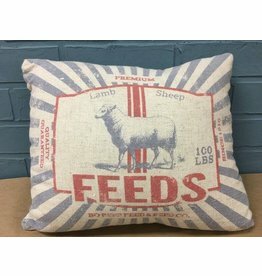 Printed upholstery features a premium blend of cotton and linen. 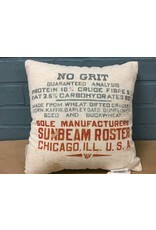 Inspired by vintage chicken scratch feed 100LB bulk sack. 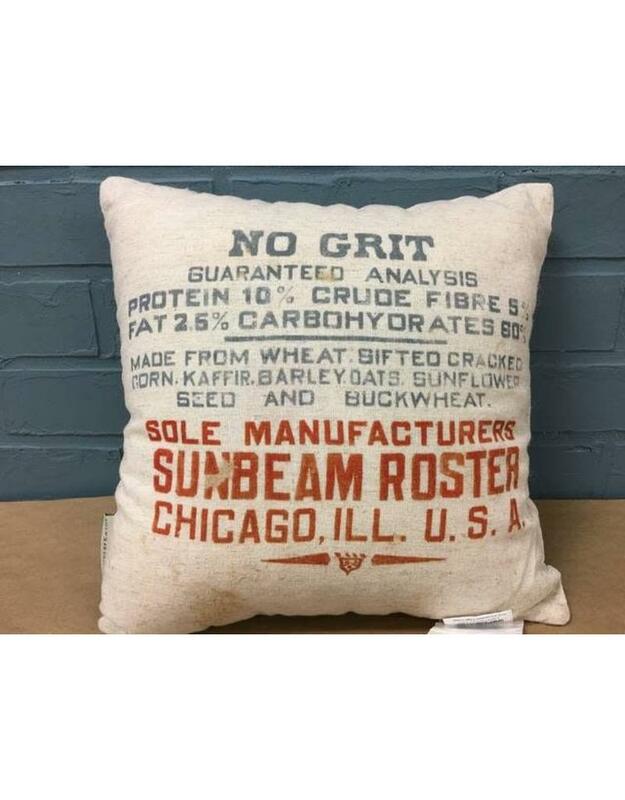 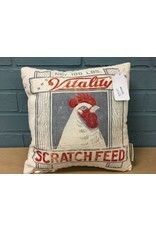 Brand new throw pillow featuring vintage feed bag upholstery design.